Random Rarities 23 brings out of the vaults of old time radio comes a cacophony of fun from every genre of the airwaves. From a female crime fighter who has a crush on Sam Spade to Appalachian folk music to a quiz show for world travelers, this collection has a variety of rare and unique radio shows. Some highlighted shows include Office of Civil Defense and Defense Mobilization comparing a wild fire to an atomic blast and Teacher campaigning for Lyndon B. Johnson 1948 Senate race and Marlene Dietrich as a spy in Europe. This collection has something for everyone. Sam Pilgrim's Progress: "You know, you've been in his cab…" The story of a New York taxi driver, the program is written and stars Mac Benoff, who helped to create Duffy's Tavern, had been blacklisted for association with suspected Communists and had his career saved by Danny Thomas who insisted Benoff write for his Make Room for Daddy series. Progress has elements of Duffy and Life of Riley and this audition program was for ABC Radio in 1949. Sara's Private Caper: A showcase for radio and animation voice actress Sara Berner, her character is a secretary at the police precinct. Duties include typing reports, sharpening pencils, filing reports and trying to stay out of the way. Sara uses the police radio to listen to Sam Spade because she "has a crush on crime", which gets her in even more problems. In her unauthorized crime fighting adventures, Sara gets to try several dialects. Saturday at the Shamrock: A weekly remote broadcast from the Shamrock Hotel in Houston, Texas. 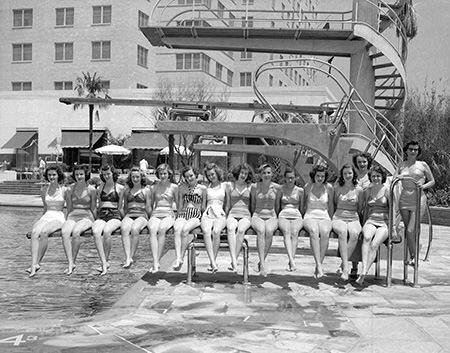 As one of the newest and fanciest hotels in town during the early Fifties, the Shamrock attracted more than its share of famous guests who would appear on the weekly broadcast, including Chico and Harpo Marx, Humphrey Bogart, Rudy Vallee, Dorothy Lamour, and others. Say It With Music: The program from the early Fifties originates in San Francisco and is sponsored by the California Department of Employment. Filled with hot tunes by Lyle Bardo and His Orchestra and important messages about employee benefits. Sell Effects from the NBC Thesaurus: No, a thesaurus is not a dinosaur who knows a lot of words. This series of sound clips were likely among those provided by the network to help affiliates stations create professional commercial spots for local sponsors. Most are simply a marketing phrase read by an announcer with an echo-effect tag. 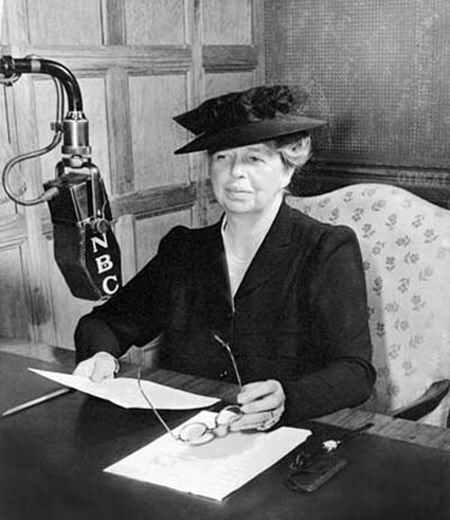 Eleanor Roosevelt's weekly broadcast sponsored the Pan American Coffee Bureau, this episode is almost immediately following the attack on Pearl Harbor. Deadline Mystery, starring Steve Dunne in these rare two episodes as a two-fisted newspaper columnist who always gets his story and solves a few crimes along the way. Smoky Mountain Serenade: A celebration of Appalachian folk music from Nashville station WSM, the home of the Grand Ol' Opry. Many Opry artists share on this program as well. The Star and the Story: An anthology program of half-hour plays performed by some of Hollywood's biggest stars, including Walter Pidgeon, Lana Turner, Ginger Rogers, Olivia de Havilland, Herbert Marshall, and others. The show was presented on AFRS as Frontline Theatre. Stars in the Air: Half hour movie adaptations performed at the Screen Guild Theatre in Hollywood. Stop or Go: A quiz show for world travelers. Contestants have a goal in the form of a city marked on a world map, and they are to get there in six steps by answering six questions. At each stop, they can choose to stop and collect their winnings or go on to their final destination and attempt to collect $80. Strike It Rich: "The Show with a heart", contestants are given a chance to share their hard luck stories and get help for their deserving projects. After sharing the stories, they get to answer questions and earn prize money toward their goals. Supper Club: Most G.I.s would never expect a fancy show at the mess tent, they would be happy so long as the "stew burners" put something edible and hot on their tray. However, if the mess tent radio was tuned to AFRS, there is a good chance that three nights a week they could be entertained by the strains of Supper Club featuring the talents of hosts Perry Como or Jo Stafford. Similar in concept to commercial radio's Chesterfield Supper Club. Teachers for Johnson: Long before he became John Kennedy's Vice President, Congressman Lyndon B. Johnson from the Texas 10th Congressional district was running for the Senate in the 1948 race. The campaign featured fairground appearances where LBJ would alight from his rented helicopter, "The Johnson City Windmill", and this ringing endorsement from several teachers around Austin and the surrounding hill districts. Tell Your Neighbor: Social media began a long time before the Internet. As early as 1947, the Mutual Network brought us the Tell Your Neighbor program. Hosted by Walter Mason, the idea was for listeners to send in helpful hints and inspirational stories. Most of the stories come from housewives who write about lessons they learned from their mothers and neighbors. The only thing missing is cute cat videos. 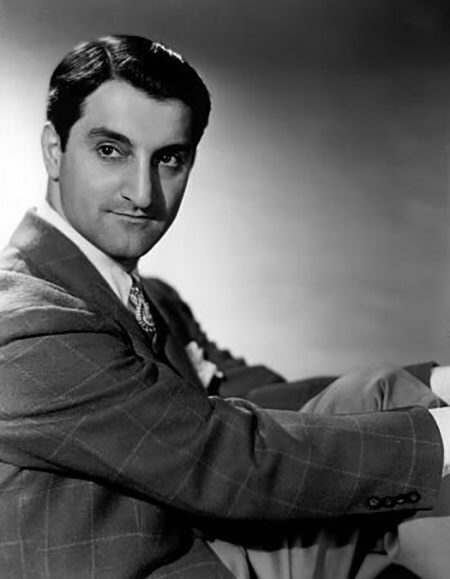 The Gentleman: A dashing and debonair detective who solved cases wearing top hat and tails starring Reginald Gardiner. Perhaps intended as an answer to the grittiness of the popular hard-boiled detectives. 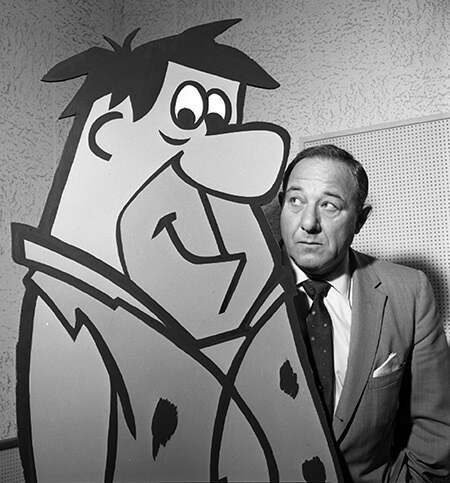 Alan Reed Jr (Fred Flintstone) plays Stanley, "the Gentleman's Gentleman". By the People: Produced in cooperation with the Office of Civil Defense and Defense Mobilization, the program used the perspective of a newspaper reporter to dramatize various disasters imagined by the Civil Defense. This episode compares a wildfire in a fictional California forest to the response to an atomic attack. Then and Now: We tend to think of nostalgia programs as a recent phenomenon, but this program from 1936 fits the subject. Sponsored the Sears and Roebuck, the program looked back over the past 50 years of the company's history relating technological and social advances during the period. Freedom Train, Get On Board: The War Advertising Council had just dropped "War" from its name in 1946 and hit upon the idea of a "Freedom Train" for a campaign to "Sell America to Americans". The train toured the 48 contiguous states and carried artifacts and documents including original copies of the Declaration of Independence and the United States Constitution. A contingent of Marines was assigned to guard the train and its priceless artifacts as well as deal with crowd control to ensure everyone could see them. The Freedom Train was desegregated, and cities where Whites and Blacks were not allowed to view the artifacts together, were passed over. Time For Love: This combination of spy story and soap opera stars Marlene Dietrich as a woman traipsing about Europe, breaking hearts and delivering secret documents. To the Rear March: The Armed Forces Radio Service built a huge collection of material over the years. To The Rear March took requests from G.I.s for their favorite programs and stars from the past, including Fred Allen, Jack Benny, Frank Morgan, Charlie McCarthy, Bob Hope and others. Top Tunes with Trendler: Mutual presents Bob Trendler and his Orchestra broadcasting from Chicago, featuring the vocal stylings of Paula Ray and Tony Fontaine. Train Time: Using the newly developed technology of audio recording tape, Train Time proposed to tap the entertainment value of the passengers on the great train routes of America. Had the program been picked up by a sponsor, there were proposed specials to include the Shriner's Special on the way to a convention and the Notre Dame football team and fans on the way to a big game. For this audition, host Hal Sawyer interviews a soprano on the Golden Stat Limited of the Southern Pacific. 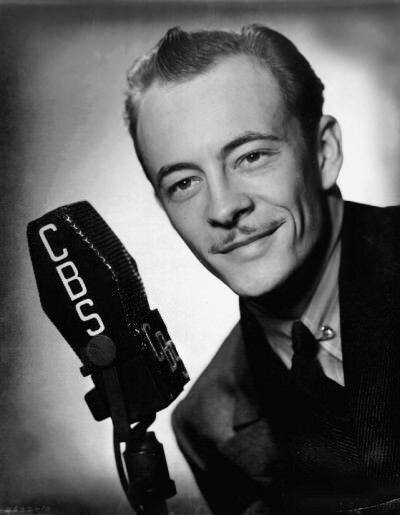 The Tremaynes: After making 30 pictures, actor Les Tremayne complained that more people knew him for his work in radio. 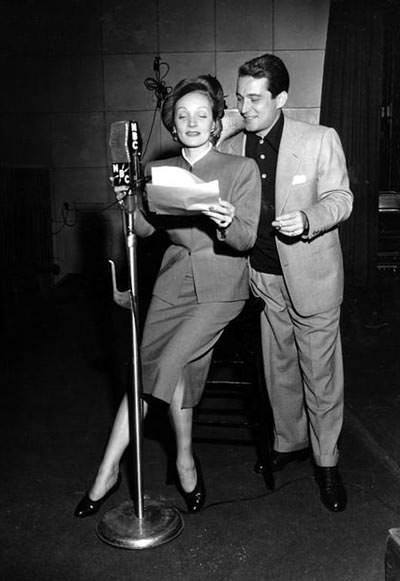 In 1949, Les and his wife Alice Reinhart hosted a daily talk show originating on WOR. The show seems unrehearsed and is greatly entertaining. Tribute to Their Majesties: Although the Rebels fought for Liberty from Tyranny in 1776 and stood up to the British Crown again in 1812, the American people have long been in love with the Royal House ruling England. In 1939, King George VI and his wife Queen Elizabeth became the first sitting British monarchs to visit North America. The Royal couple charmed their Colonial cousins and were subject to a good deal of "homespun" hospitality in the woods of Canada and even in the East Wing of the White House, where the King and FDR stayed up late sharing cocktails. As the Royal visit came to a close, several British members of the American show business community made this Tribute broadcast to their Sovereigns. Tunetest: A telephone quiz show. Host "ol' Jack Fuller" dials a random number and gives the person on the other end of the line a chance to win $500 in valuable merchandise, including an Admiral portable radio. All the contestant had to do is identify the tune that the studio orchestra plays and they will have the chance to answer the Master Question. This may have been an audition recording to play for potential sponsors. Twilight Tales: Classic tales, including Hans Christian Anderson's "The Emperor's New Clothes" and "The Young King" by Oscar Wilde, are read by Elinor Gene in these syndicated broadcasts. U.S.O. Farewell Program: As America joined the Second World War, the United Service Organizations were formed to help support the morale and welfare of the troops. The USO helped with communications to loved ones back home, organized dances near military installations, handed out books and sporting equipment, and supplied donuts and coffee to passing troop trains, but their most well-known contributions were the famous camp shows. Entertainers from barely-employed accordion players to the biggest names in Hollywood fell over themselves to entertain the troops wherever they were. Whether they were in the last few days of basic training or just yards away from the front lines, USO performers were there for the boys. After the War ended, the USO camp show program disbanded due to lack of funding. When forces of the United Nations, including US troops, answered the call to Korea, Al Jolson called the White House to inform the administration that he was going to Korea. The War Department replied that there was no funding because the USO had been disbanded. Jolson told them he didn't need funding, HE was going to entertain the troops! Once the United Service Organizations got back up and running, not a day went by in 1952-1953 that the USO did not provide services somewhere in Korea. USO, On With the Show: In partnership with the War Department, the United Services Organizations included the Salvation Army, Young Men’s Christian Association (YMCA), Young Women’s Christian Association (YWCA), National Catholic Community Service, National Travelers Aid Association and the National Jewish Welfare Board. Originally commissioned to aid servicemen during recreational periods or on leave, the USO became most famous for the Camp Shows beginning during the Second World War. The Camp Shows were disbanded for a short time after the War, but the USO still had plenty to do to support the peacetime military and veterans in hospitals. Toward that end, many of the Camp Show veterans of Hollywood came together for these On With the Show editions to help raise funds. V-E Day Plus 350: Nearly a year after the Nazis were crushed by the Allied forces, the United Jewish Appeal made this broadcast to make known the needs of the millions of displaced Jews who had survived the horrors of Hitlerism. The Victory Front: The characters from the Life Can Be Beautiful soap opera learn a valuable lesson about Nazism when a frightened Dutch refugee girl comes into the bookstore just before closing, hoping to buy a Bible, something that was difficult for her to do back home in Holland under Nazi occupation. Vince Jan and his Orchestra: Sax player Vince Jan makes a remote broadcast from the Fan Room of the Marble Grill at 63 State St, Rochester, New York, of the Federal Broadcasting Network. Voices from the Air: Station sign-offs from several experimental broadcasters in the MidWest, approximately 1925. The Watchman: "An observer of the large and the small, the story, the dream and the prayer, of all these many things which men call life." 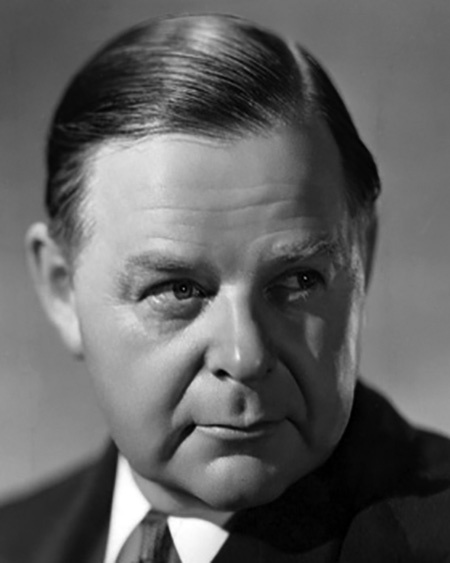 An audition program featuring the storytelling talents of Gene Lockhart in a one-man show. We Care: The Cooperative for Assistance and Relief Everywhere, C.A.R.E., was originally founded to send relief packages to Europe just after WWII. These programs from the late Forties were fundraisers for the organization. 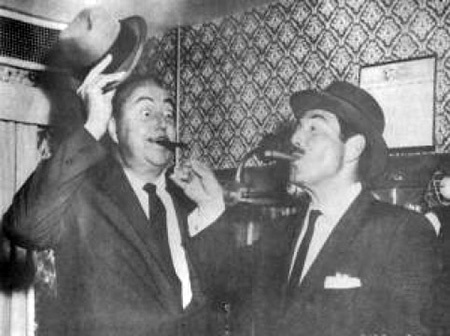 "The Bimbo from Limbo" episode features The Great Gildersleeve's Harold Perry and Willard Waterman in a rare joint appearance. We Love and Learn: Soap Opera from the late '40s featuring the adventures of a young New York girl who is working for a fashion designer who wants to move to the country and her other friends. Be the first to comment on "Random Rarities 23"